Dr. Karl Erb, Director of the United States Office of Polar Programs (OPP), discusses recent and future developments in U.S. polar research, logistics, and policy. How did you come to work for the US Office of Polar Programs? In the mid 1990s, our Congress began wondering if the U.S. should continue its Antarctic program, because it was so expensive. At that time I was the Senior Science Adviser to the Director of the U.S. National Science Foundation and I was assigned to work with Congress and the White House to examine the pros and cons of that question. So we conducted a science and technical review to see if we were doing it in the most economical way. The result was that it was decided that we should continue, and what's more, that we should build a new South Pole station. As the saying goes in Washington, "No good deed should go unpunished," and so the director told me that since I got the program set for the future, I should go and run it! What is the annual budget of the Office of Polar Programs, both for the Arctic and the Antarctic? In the Arctic division, we had planned to provide about US$ 100 million this year for grants to university scientists and for logistics support. Now we have an additional million, approximately, from the Economic Recovery Act to add to this amount for grants on a one time basis and about million extra for upgrading our fixed infrastructure. The Antarctic budget for grants was planned at about US$ 70 million this year, with an additional US$ 250 million for infrastructure costs, transportation of fuel, supplies and people. Icebreaker costs are an additional million, and the Economic Recovery Act added about million at the last minute for research and infrastructure, so that our total budget this year will be something in the regions of US$ 640 million. We are using some of this money to make investments in renewable energy sources, replacing diesel generators with wind turbines and solar power, and we are hoping that these investments will not only reduce our carbon footprint, but also our costs in the longer term. Was the construction of the new South Pole station (inaugurated in 2008) included in the budget, or was it an additional budget? No, that was a special budget of about US$ 150 million spread over many years. Is the new South Pole station living up to its promise, both scientifically and technologically? Well, as they say, if you build it they will come! We originally designed the station for 200 people, but our board of directors asked us to reduce its capacity to 150 people. However, long before the station was finished, the demand was so great we were told to go back up to 200. Right now, with the ICE CUBE experiment and all the other astrophysics going on at the South Pole, we've actually reached our limit in terms of electricity production, and I don't particularly want to produce more electricity because it means bringing in more fuel. So we're going to have to become more efficient, and people have become much more conscientious about electricity usage at the South Pole: Turning off lights and other things they should have been doing all along. that it has to be sufficiently important to be done despite the high cost. In 1997, the US State Department provided a statement stipulating that the US presence in Antarctica and at the South Pole "serves important strategic and foreign policy objectives." Why? As you know, seven countries have laid claim to portions of Antarctica, and all these claims (which resemble pieces of a pie) meet at the South Pole. But the US and the then Soviet Union never laid claims. So, at least back then, I think it was thought that if a non-claimant nation like the US maintained a station at the South Pole, then it could serve in mediating some of the territorial imperatives. How do you rate the robustness of the Antarctic Treaty in the long term, and perhaps especially in the context of the increasing international demand for mineral resources? So I think the treaty has been very, very successful and I don't have any reason to doubt that it will continue to be. A number of rising international powers such as China and South Korea are currently in a phase of active expansion of their Antarctic programs. What is the Office of Polar Programs' view on this? 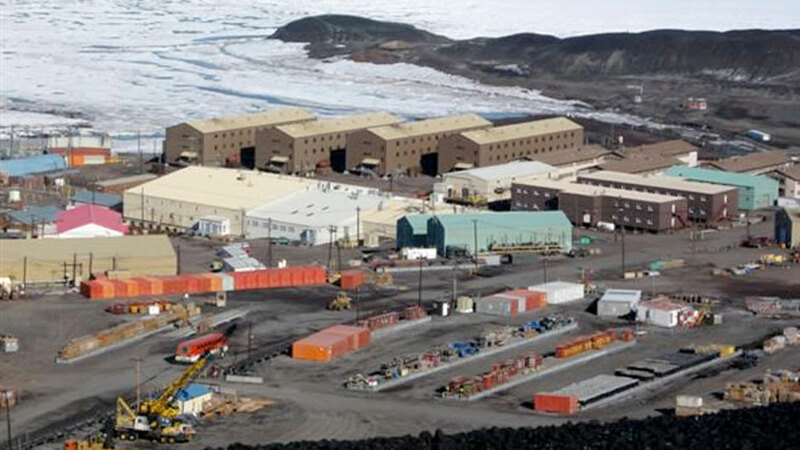 In regards to Korea, last season we teamed up with the New Zealand Antarctic program to transport Korean scientists and logistics people to the Antarctic so that they could study a site where they were thinking of building a new research station in the vicinity of an old Italian station in the Ross Sea region. I am not sure if this plan is going to go ahead, but if they did come into the Ross Sea region, that would be a very interesting symbiosis for us. For example, they have a new ship and we might be able to consolidate re-supply activities so that we all save money. With China, we have had many meetings over the years to discuss planning activities, and have already provided them with some assistance as they built their new station at Dome A. In return, they have assisted with fuel dumps for the Gamburtsev Mountains project (AGAP). Right now, we are arranging a high level round-table in China at the end of October 2009, and two years ago we had a similar round-table in Washington DC, which led to the cooperation we've had up till now, so things seem very promising. And do you have any plans for collaboration at Dome Argus, where China has just inaugurated its Kunlun Station ? We don't have any immediate plans to work at Dome A, but I can easily imagine collaborative studies. But I would say that what's true for the Arctic is certainly true of the Antarctic, and that is that if you are doing measurements in one location, at your station, there is really no reason for me to come to your site or for you to come to my site - except perhaps once in a while. Instead, if we can agree on a protocol for making measurements and exchanging our data, then we will be doing science in a more productive way, and reducing the scientists' travel time and expense. So I think that that's the kind of collaborative mechanism that works and that I think we will seek to develop - for example with the French. In 2007, a Russian expedition planted a Russian flag on the seabed at the North Pole. How does the US view such gestures within the Law of the Sea Framework and the repartition of maritime economic zones along the Arctic Rim? Is the OPP involved in these negotiations? No, the NSF just supports scientific research and we're happy to have the State Department take formal positions and conduct the international negotiations on such matters. Of course some of the research that NSF supports will help determine continental shelf boundaries in the Arctic and thus contribute a scientific basis for settling territorial claims within the Law of the Sea Framework. Secretary of State Hillary Clinton made a very well received speech at the opening of the last Antarctic Treaty meeting which was held in Baltimore. What does the new Obama Administration mean for the Office of Polar Programs? Looking at this indirectly, the President and the Secretary of State have both emphasised their concerns about climate change, and the need to do something about it. Since this is what my office has been focused on for several years now, you can imagine that to me, that's good news. At the very least, it could be a rising tide that also lifts my office's boat! Karl Erb was Director of the United States Office of Polar Programs (OPP ) from 1998 to 2012. He received his Masters and Doctoral degrees from the University of Michigan, and his Bachelor of Arts degree from New York University (NYU). He is recognized for his research in experimental nuclear physics.